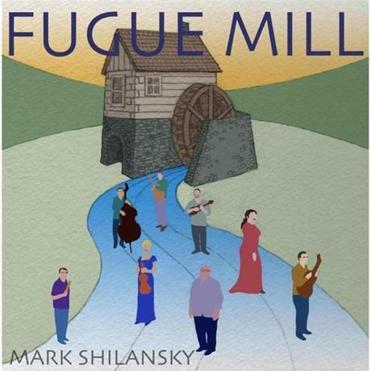 Even if pianist and composer Mark Shilansky’s press notes hadn’t mentioned the influence of Celtic music and bluegrass bands like the Punch Brothers, I‘d have thought “Fugue Mill” was an especially fresh and inventive jazz album, albeit with mandolin and fiddle. At least, the opening number, “RFD 7,” with its buoyant funk beat and stealth-duo improvisation for piano and violin (Sara Caswell) led me to think so. Same with the Brazilian groove of “AM.” Even a piece like “Reely,” with its suggestion of “Appalachian Spring,” is superb small-band jazz; guitarist Eric Byers’s occasional Metheny-like licks help to secure the link between jazz and country-Americana.